Whenever I write a book review where the main character is a girl, I get emails or comments about the fact that I’m a boy reading ‘books for girls’. I don’t really think of it like that. To me, a good book is a good book. Anyway, here’s a little round-up of some of those books. Your boys might like them, too. 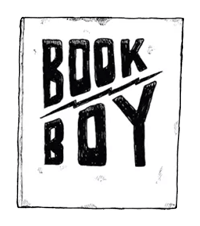 You might also like this post about books for boys featuring awesome girls – a list based on books that I had read and recommended. I love your list, Book Boy. As a mother of three kids, the eldest a boy the other two girls, we ‘exchange’ books all the time. In fact, I reckon that trying a book aimed at the other gender might just be the key to getting a reluctant reader to enjoy books. I can add these series to your girl-books-for-boys list – all enjoyed by my boy: Dork Diaries series; Ivy & Bean series; Trixie Beldon series; Withering By Sea and Wormwood Mire; Ruby Redford series. My 9 year old son loved The Grace Books in the ‘Our Australian Girl’ series. His teacher read some of one to the class and all of a sudden all the boys wanted to read it. It’s a lovely addition to our bookshelf at home. Thanks Emma! I’ve heard a lot about that series, but haven’t read it yet!